After V-Day, is the thrill gone? Last Thursday was Valentine’s Day. For those of you who note 2/14 on the calendar, I hope you shared the love with your sweetie. I’ve written before about what lessons from love we can bring to work. 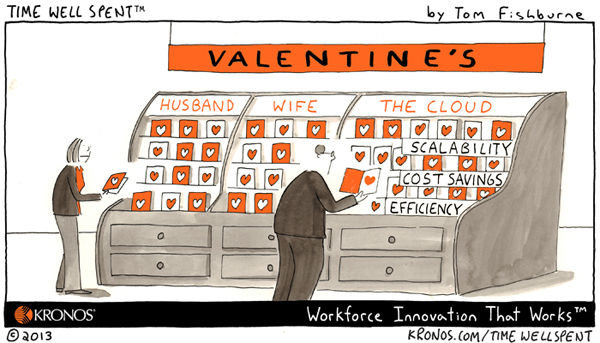 Last week brought perspectives on celebrating V-Day in the workplace – pros and cons (below). I’m also reminded as I write this on Presidents Day that we’re entering the longest stretch of the year for employees who enjoy paid holidays. We won’t get a three-day weekend again until Memorial Day. With all the snow and cold here in New England, I don’t know if I can wait that long! Our board member Ruth Bramson killing it on NECN! – don’t forget to buy your Girl Scout cookies. You can send them to our service people if you want to spare the calories.